Let us rejoice and shout for joy, because the Lord of all things has favored this holy and glorious virgin with his love. Heavenly Father, You drew blessed Agnes away from the pleasures of royalty, and through the lowly way of the cross led her on the path of perfection. Grant that in imitation of her we may depreciate transitory things and always strive after those of heaven. 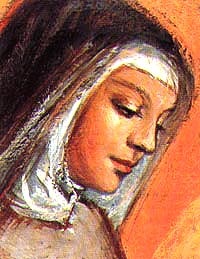 Blessed Agnes is known for her poverty and humility. 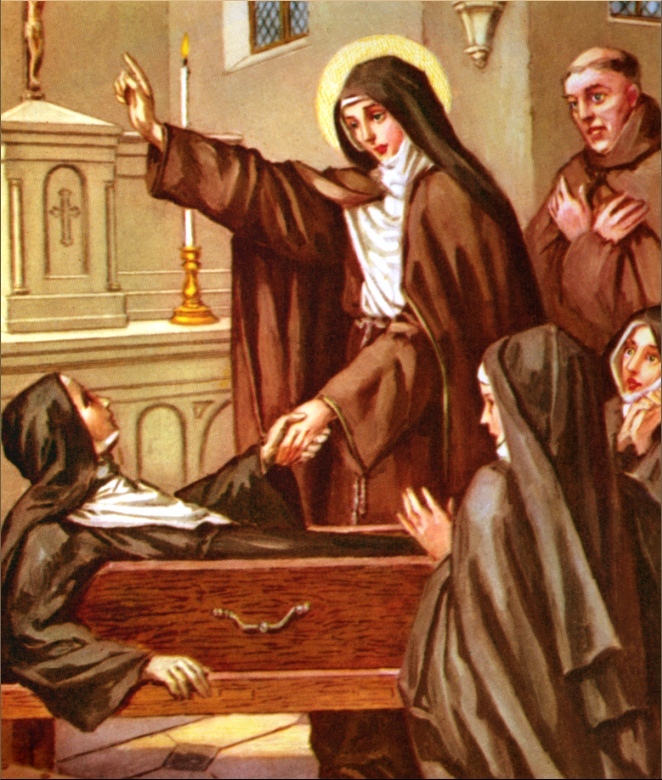 She was an obedient daughter of the Franciscan charism. A portion of Blessed Agnes’ life and deeds can be read here. The teaching of truth was in his mouth, and no wrong was found on his lips. he walked with me in peace and justice, and turned many away from wickedness. Almighty God, You attracted Saint Conrad through his zeal for justice to serve You faithfully in the desert. Through his prayers may we live justly and piously, and happily succeed in coming to You. The Church never canonized Conrad but bestowed on him the title of ‘saint’. Pope Leo X established a liturgical memorial in 1515 and Pope Urban VIII extended Conrad’s liturgical feastday to all Franciscans in 1625. He’s the patron saint for those living with a hernia. I present the Wednesday (February 10, 2010) Address of Pope Benedict on Saint Anthony of Padua, following upon his talks on Saints Francis and Dominic in the past weeks. What is a stake here for the Pope? It is being centered totally on Jesus Christ. Nothing else matters. Prayer, a relationship of love with God is a constant. As the pope will note below, you can’t make progress in the spiritual life if you do not pray and live a life of virtue. 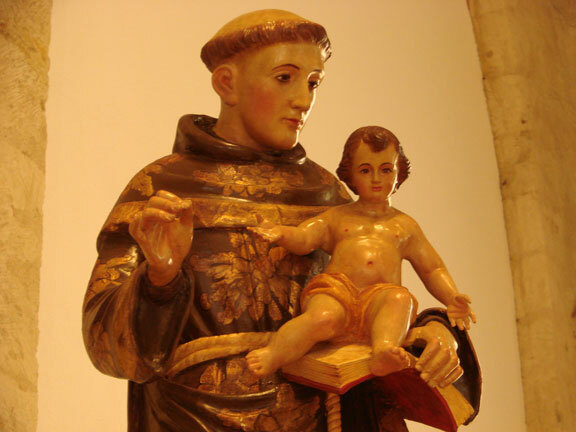 After presenting two weeks ago the figure of Francis of Assisi, this morning I would like to speak about another saint belonging to the first generation of Friars Minor: Anthony of Padua or, as he is also called, of Lisbon, referring to his native city. He is one of the most popular saints in the whole Catholic Church, venerated not only in Padua, where a splendid basilica was built, which houses his mortal remains, but in the whole world. Dear to the faithful are images and statues that represent him with the lily, symbol of purity, or with the Child Jesus in his arms, in memory of a miraculous apparition mentioned in some literary sources. 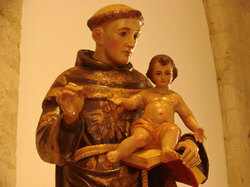 Anthony contributed in a significant way to the development of Franciscan spirituality, with his outstanding gifts of intelligence, balance, apostolic zeal and, mainly, mystical fervor. He was born in Lisbon of a noble family around 1195 and was baptized with the name Fernando. He entered the canons who followed the monastic rule of St. Augustine, first in the monastery of St. Vincent in Lisbon, and subsequently in that of the Holy Cross in Coimbra, renown cultural center of Portugal. 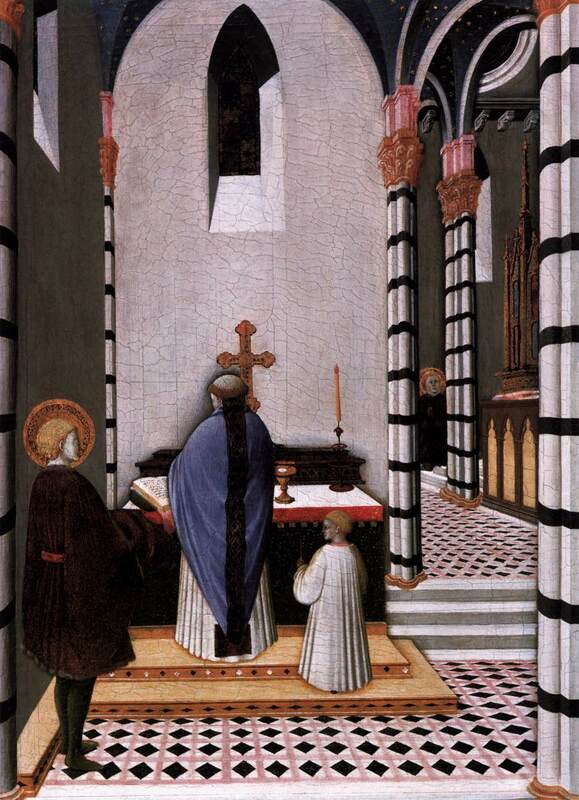 He dedicated himself with interest and solicitude to the study of the Bible and of the Fathers of the Church, acquiring that theological science that he made fructify in the activities of teaching and preaching. 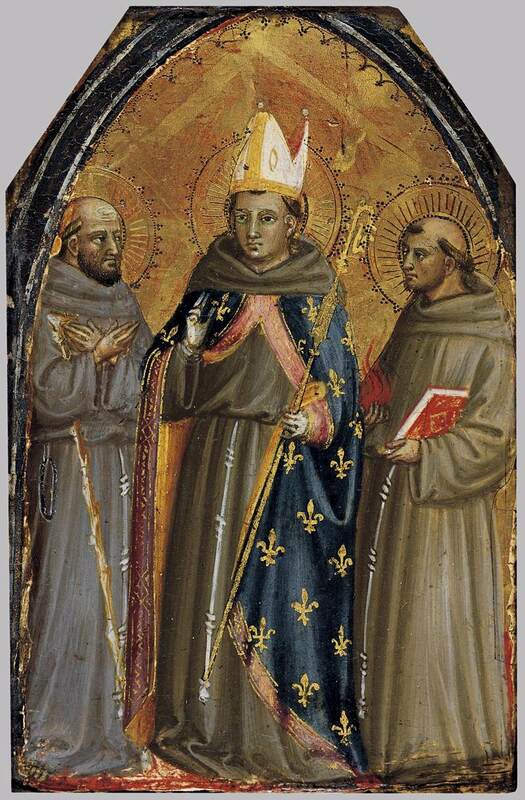 “I would like you to teach theology to the friars.” Anthony set the foundations of Franciscan theology that, cultivated by other famous figures of thinkers, came to its zenith with St. Bonaventure of Bagnoregio and Blessed Duns Scotus. Becoming provincial superior of the Friars Minor of northern Italy, he continued with the ministry of preaching, alternating that with administrative tasks. When his mandate as provincial came to an end, he retired near Padua where he had already been other times. Barely a year later, he died at the gates of the city on June 13, 1231. Padua, which in life had received him with affection and veneration, showed him forever honor and devotion. Pope Gregory IX himself, after hearing him preach, described him as the “Arc of the Testament,” and canonized him in 1232, also as a result of the miracles that happened through his intercession. In the last period of his life, Anthony committed to writing two series of “Sermons” titled, respectively, “Sunday Sermons” and “Sermons on the Saints,” written for preachers and professors of theological studies of the Franciscan Order. In them he comments on the texts of sacred Scripture presented by the liturgy, using the Patristic Medieval interpretation of the four meanings: the literal or historical, the allegorical or Christological, the tropological or moral, and the anagogic, which guides to eternal life. They are theologic-homiletic texts, which take up the lively preaching in which Anthony proposes a true and proper itinerary of Christian life. The wealth of the spiritual teachings contained in the “Sermons” is such that, in 1946, the Venerable Pope Pius XII proclaimed Anthony a doctor of the Church, attributing to him the title of “Evangelic Doctor,” because from these writings arises the freshness and beauty of the Gospel; even today we can read them with great spiritual profit. In them, he speaks of prayer as a relationship of love, which drives man to converse sweetly with the Lord, creating an ineffable joy, which gently envelops the soul in prayer. Anthony reminds us that prayer needs an atmosphere of silence, which is not the same as withdrawal from external noise, but is an interior experience, which seeks to remove the distractions caused by the soul’s preoccupations. 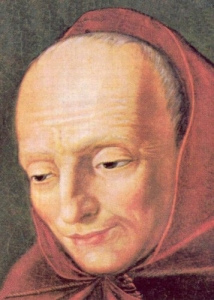 According to the teaching of this distinguished Franciscan doctor, prayer is made up of four indispensable attitudes which, in Anthony’s Latin, are described as: obsecratio, oratio, postulatio, gratiarum actio. We could translate them thus: to open one’s heart confidently to God, to speak affectionately with him, to present to him our needs, to praise him and to thank him. 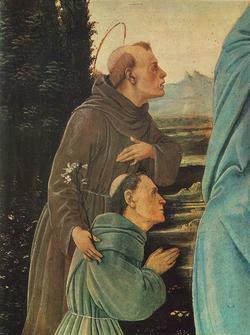 In this teaching of St. Anthony on prayer we see one of the specific features of Franciscan theology — of which he was the initiator — namely, the role given to divine love, which enters in the sphere of affection, of the will, of the heart and which is also the source from which springs a spiritual knowledge that surpasses all knowledge. Anthony writes: “Charity is the soul of faith, makes it alive; without love, faith dies” (Sunday and Holy Days Sermons II, Messagero, Padua, 1979, p. 37). Only a soul that prays can make progress in the spiritual life: this is the privileged object of St. Anthony’s preaching. He knows well the defects of human nature, the tendency to fall into sin; that is why he constantly exhorts to combat the inclination to covetousness, to pride, to impurity and to practice the virtues of poverty and generosity, of humility and obedience, of chastity and purity. At the beginning of the 13th century, in the context of the rebirth of the cities and the flourishing of trade, there was an increased number of people who were insensitive to the poor. Because of this, Anthony many times invites the faithful to think of true wealth, that of the heart, which, making them good and merciful, makes them accumulate treasures for Heaven. “O rich people,” he exhorts, “befriend… the poor, welcome them in your homes: They will then be the ones who receive you in the eternal tabernacles, where the beauty of peace is, the confidence of security, and the opulent quiet of eternal satiety” (Ibid., p. 29). Is not this perhaps, dear friends, a very important teaching also today, when the financial crisis and the serious economic imbalances impoverish not a few persons and create conditions of misery? In my encyclical Caritas in Veritate, I remind that: “The economy needs ethics in order to function correctly — not any ethics whatsoever, but an ethics which is people-centred” (No. 45). In Francis’ school, Anthony always puts Christ in the center of life and thought, of action and preaching. This is another typical feature of Franciscan theology: Christ-centeredness. Willingly [this theology] contemplates and invites to contemplate the mysteries of the Lord’s humanity, in a particular way, that of the Nativity, which arouse feelings of love and gratitude toward divine goodness. Also the vision of the Crucified inspires in him thoughts of gratitude to God and of esteem for the dignity of the human person, so that all, believers and non-believers, can find a meaning that enriches life. Anthony writes: “Christ, who is your life, is hanging before you, because you look at the cross as in a mirror. There you will be able to know how mortal were your wounds, which no medicine but that of the blood of the Son of God could have cured. If you look well, you will realize how great are your human dignity and your value … In no other place can man realize better how much he is worth, but by looking at himself in the mirror of the cross” (Sunday and Holy Days Sermons III, p. 59). Come, you whom my Father has blessed; I was ill and you consoled me. Anything you did for one of my brothers, you did for me, says the Lord. God our Father, You kept Brother Giles Mary of Saint Joseph faithful to Christ’s pattern of poverty and humility. With his prayers to give us courage help us to move forward in unselfish charity. glorious virgin with his love. holy example may ever abide in us. a room next a church where a window allowed her to adore the Blessed Sacrament. Essentially she adopted an ancient form of religious life as an anchoress. Satan. Who, by the way, is clearly instrumental in trying to bring the Church to her knees. speech and her sight were restored. lifetime Colette seventeen monasteries were founded under her inspiration. In the USA, the Colettine Poor Clares have a number of monasteries. One foundation that I would like to highlight is the Bethlehem Monastery of the Poor Clares, Barhamsville, VA.
storm. At once she knew her mission.